The baby in the photo is younger than my Abigail. His name is Rafael – a tiny baby, seen here in his mother’s arms. She wandered from Damascus to Beirut and onto the shores of the promised land, before being placed in a tent in the Beit Lyd transit camp. At that time there were already rumors spreading about babies disappearing, and indeed, a day or two later the babies disappeared from the nursery. The mothers were informed that they were sick and delivered to the hospital. 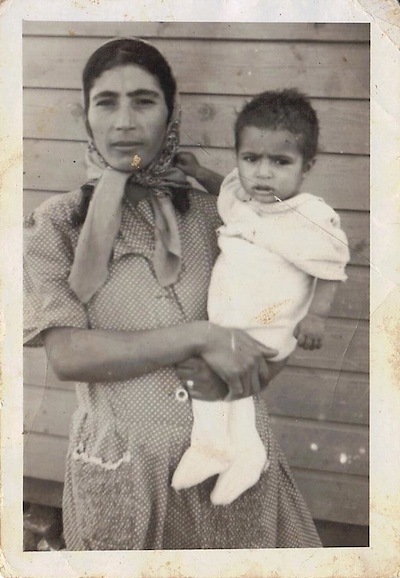 My grandmother, a very strong-minded and stubborn woman who was way above average (yes even the Yemenite average) decided to search for her child. She went to the hospital and looked in all of the different rooms until she found my uncle, took him in her hands and left the hospital. The other four children were never found. The parents were told they passed away. What went on in her heart and mind, I can only guess. This is the hard part. I don’t believe that my grandmother, the way I have come to know her for all of her integrity and innocence, could comprehend the possibility of someone doing such a thing. It was beyond her grasp. But she could not grasp the opposite situation either. You just know whether some things are true or not – it’s an obvious gut feeling. Power relations didn’t allow that generation’s voice to be heard, but slowly, the grandchildren are rising up and demanding answers. And if not answers, then at the very least we demand memories. We have our own awareness day, since the state still denies the fact that this holocaust took place. In the end they’ll understand that we don’t really need them. The voice, the memory and the truth are only up to us. I sat down to drink my morning coffee with A, my friend from the neighborhood. I told him that today is the day of awareness for the Yemenite children’s affair. He is a proud Moroccan, 73 years old, level-headed, precise, sharp and smart. This what he told me: one winter in Zarnuka transit camp, my two little brothers were sick. My father worked in the orchards and couldn’t go to the hospital with my mother. My mother and two brothers arrived there with the boys running a high fever, and after some general check-ups my mother was sent home. My father, who was a clever man, convinced her to go back there with him to watch over the children. When they returned, one of the nurses came over and told them that the children are gone. Until this day their place of burial is unknown, as is the cause of death. Miriam Bunker, 80, was born in Pakistan. 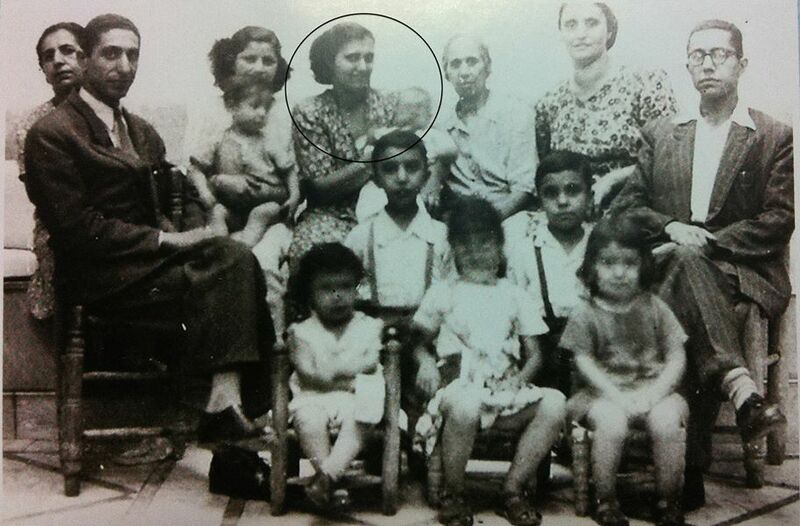 She immigrated to Israel with her late husband, Abraham, and their only daughter at 1948. 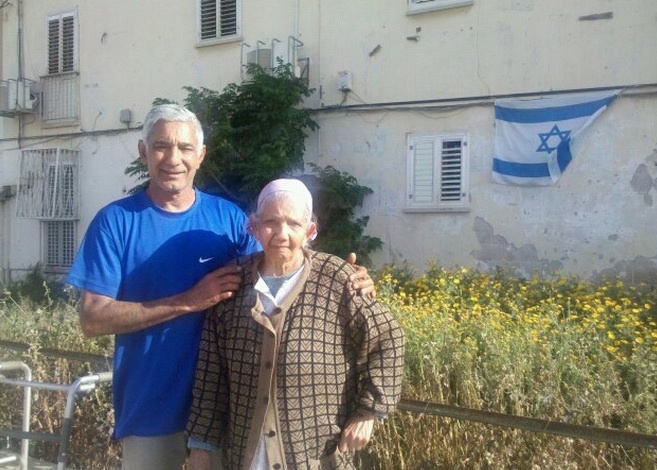 Abraham worked in the department of public service and Miriam worked in the Kanaf 6 IDF base until she retired. In 1959, after having given birth to five children already, she became pregnant again and gave birth to triplets. After two days in the hospital she was told that two of the three babies had died. She neither saw their bodies nor got a chance to bury them. Prime Minister David Ben-Gurion awarded her a house with a 70 square meter yard in Dalet neighborhood in Beersheba. She still lives there paying 450 shekels a month to this day. I won’t go into detail, but Ziona was staying at the hospital, and a few days later my grandmother was told that she died and had been buried. After some time my grandmother gave birth to my father, Zion, and years later to Yinon. At the end of the 60’s, thanks to a relative working in the Central Bureau of Statistics, who cross-referenced some details, a suspicion arose over the possibility that Ziona was alive, and that she was adopted by a well-known family (who was close to the political elite) from Haifa. All of my mother’s brothers and sisters are sitting in the living room when I come back from the army on Thursday. Something important must have happened. Etti is wiping a tear from her eye, Isaac looks upset. A stranger is sitting with them, holding a tape recorder in one hand, writing in a yellow pad in the other. They think they found her. I will have to postpone my enthusiasm over the army-sponsored car I got for the weekend. ”She died.” “She died? What do you mean died? Of what?” even then he didn’t raise his voice, and was only filled with quiet sadness. “Pneumonia. there was nobody here, we didn’t know what to do, she was buried in a nameless grave, a proper Jewish burial, don’t worry.” He couldn’t find the Hebrew words to say body, or death certificate, just as he couldn’t find ones to express his anger and pain. The deputy director of the ward walked him out of the hospital, gave him some vague, general explanations, and finally asked how many children he has. Grandfather didn’t understand what that has to do with anything. The most important thing is having people to go back home to, the deputy director said. At home, when he was asked where the baby is, he didn’t answer. My grandmother insisted, there’s no way that children will just disappear like that, here in Israel. “If a Jewish doctor in Israel said the girl died then she is dead… this isn’t a foreign country over here.” For him, a Jewish doctor in the Land of Israel was almost a divine entity. And even the deputy director was called in to help explain the situation when he had a hard time understanding it, my grandfather Zion tried to convince himself. A while later he lost his innocence, spoke of her as if she were alive, mentioned her at every opportunity and counted her among his seven children. Before he died, 40 years after leaving her in the hospital, his oldest son intravenously inherited the mystery of the missing daughter. Ten years after his father died, Uncle Isaac began searching. In the age of computers and technology, it seemed like there was hope in the office Internal Affairs Ministry. Someone working there found a listing of a woman whose personal details were identical to the ones of the lost sister – name, I.D number, date of birth, year of immigration, even the name of the ship in which she had arrived to Israel – in which they had all arrived, together. But now what? That was the purpose of this gathering. They consulted with a reporter from Ma’ariv who was investigating the affair. 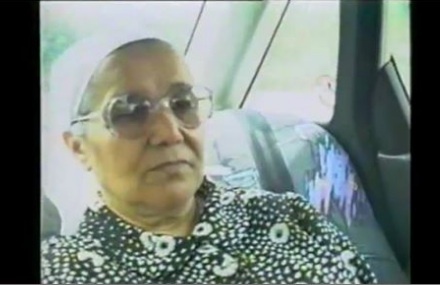 She thought they only kidnapped Yemenite children, but was happy to further expand the subject and the unequivocal testimonies. In her opinion there was only one thing to do: there was an address in Jerusalem, and we needed to go and check it out. This should be done very carefully, very gently, she should not be involved at this stage. Sunday afternoon, Ravit and I in the car that I got from the army, a Renault 5 that can barely make it up the roads leading to Jerusalem. We prepared questions, printed out a survey on wide, perforated computer papers, and after briefly getting lost in the city’s alleyways we stop in front of the house. A three-story building, surrounded by a stone wall and a lot of vegetation. Ravit said it would be better if she waits in the car, one pollster is more believable. I didn’t argue. I need to go in, take a quick look and leave. Filled with a historic sense of mission I stand in front of the door on the first floor, staring at the sign which confirms my kidnapped aunt’s name. A small butterfly flutters its wings under my diaphragm. I knocked a soft knock on the door followed by another one. Only after three very careful, hesitant knocks did the door open. A girl eight or nine years old stood before me. A sigh of relief – a girl I can handle. “Hello, where’s mommy?” I ask. “Sleeping.” Excellent, I think to myself, but then I remember that I’m supposed to actually see the aunt, find out if there’s any resemblance. “I’m from cable television and we’re doing a survey about television viewing habits. Would you be willing to answer a few questions?” “Yes, but I’m small,” says the girl who could easily be my cousin, and goes back to her drawings on the dining room table as if I were some relative who just walked in. I sit down beside her, realizing my good fortune. “Okay, we’ll start with a few personal details.” Name of the mother, name of the father. Between names of television shows I plant questions about their country of origin and year of immigration – of her mother, of her father. “Did you complete your family tree project?” I ask. The girl, immersed in her drawings, occasionally lifts up her head and mutters a reply. She seems indifferent, a bit suspicious. “Mother doesn’t have any brothers.” Her head is almost touching the drawing. I take advantage of her lack of attention to observe her. She looks like Ravit or Meirav in the 8 mm film, with Kiko the donkey on the boulevards of Nordia. Something in her eyes and in her cheeks resembles the family. Half an hour goes by. We’ve gone through all of the programs we had prepared, as well as those we hadn’t prepared. What do you think about Sesame Street, and would you prefer cartoons, and maybe you’d like to have news for children. After spending more than three years in the army, I don’t know any television programs. She can sense I’m buying time. I ask her about her grandfather and grandmother on her mother’s side, and the uncles as well. All of the answers are correct. She was born in 48, immigrated in 49, came from Libya, she’s adopted but her adoptive parents are also from Libya (I thought they only kidnapped children for Ashkenazi families), her parents died but she knows there were some problems with the adoption. An only child. I look at the clock on the wall. 40 long minutes. Ravit is dehydrating in the car. Six brothers and sisters and one reporter are eagerly waiting by the phone to hear the fatal answer. “When will mommy wake up?” “I have to wake her up at 5” “It’s 5 now.” She takes a look at the clock and scolds me “there are 5 more minutes.” Five minutes later she disappears into the apartment and returns after a minute, sits down in silence and goes back to her drawing. A few minutes go by and I hear a rustle. Then the rustle turns into footsteps. I turn my head in the direction of the footsteps and she appears. A women of around 50, sleep wrinkles on her face, black hair, wide hips, there’s a hint of of Sara in her, a little bit of Rivka. She notices me staring at her, now she seems angry. “Hello,” she says in a voice which sounds almost aggressive. “He-llo,” I mumble, excited, agitated. “I, uh, we’re doing a television survey, will you be willing to answer a few questions?” she looks at me suspiciously, approaches the papers and asks me to leave. She doesn’t have time for this sort of thing. I walk out to the stairway, distracted, excited, alert, confused, trying to keep all of the details in my memory, not to lose even a fragment of information, organize my thoughts, not to forget how she looked, her facial features, the whole experience. Uncle Isaac finds a “distinguished man” – someone whom she would know, respect and will agree to meet with and listen to. Someone who would talk to her, who would tell her. They want nothing from her, just to know that it’s her, that Miriam is alive, that our grandfather may rest in peace. He talked to her. She doesn’t want to know, doesn’t want to check, doesn’t want anything to do with it, doesn’t want to discover lost brothers and sisters at the age of 50. She has her own life, her own family, she doesn’t need this shock now. It has been 50 years. Six brothers and sisters won’t give up. Isaac calls her, tries to set up a meeting with her. She won’t do it – they want nothing, that isn’t the point. No money, no family events, no genetic tests. Just cooperation.